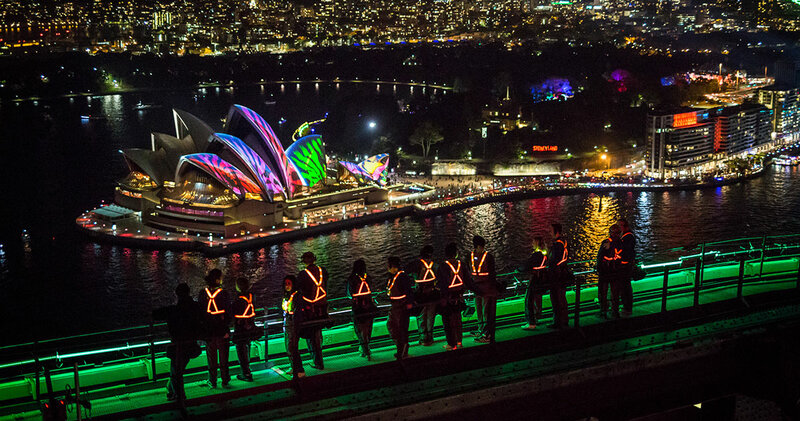 Back by popular demand, BridgeClimb Sydney will give climbers an unrivalled, 360-degree view of Sydney’s world-famous Vivid festival by offering night climbs from 24 May - 15 June 2019. Groups of 14 climbers will be outfitted with bright and flashy Vivid-inspired climbing vests for the 3.5 hour climb, adding to the dazzling display of light sculptures, installations and grand-scale projections visible from the Bridge. At the summit, climbers will be able to break out their best dance moves on a 70’s inspired light-up dance floor to a soundtrack of upbeat dance tunes from the best vantage point in the city. Each Vivid Climb will include a complimentary group photograph, cap and an eight second video capturing their sky-high dance performance. Standard Night Climb rates apply from $188 per child (8 years and up) and $268 per adult.